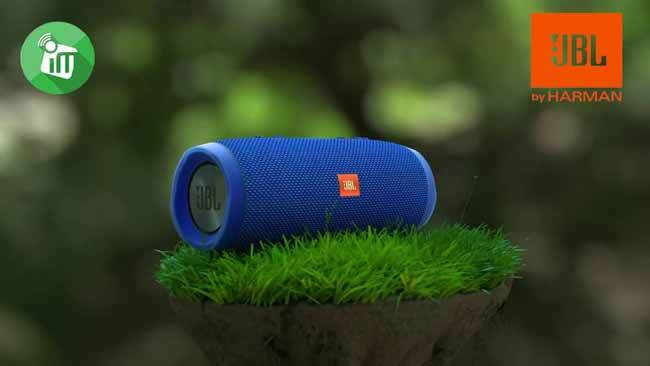 The JBL Charge 3 Wireless Speaker is the ultimate, high-powered portable Bluetooth speaker with powerful stereo sound and a power bank all in one package. The Charge 3 takes the party everywhere, poolside or in the rain, thanks to the waterproof design, durable fabric and rugged housing. JBL Charge 3 is the ultimate, high-powered portable Bluetooth speaker with powerful stereo sound and a power bank all in one package. The Charge 3 takes the party everywhere, poolside or in the rain, thanks to the waterproof design, durable fabric and rugged housing. Its high capacity 6,000mAh battery provides 20 hours of playtime and can charge your smartphones and tablets via its USB output. A built-in noise and echo-cancelling speakerphone gives you crystal clear calls with the press of a button. Wireless link multiple JBL Connect-enabled speakers to amplify the listening experience. 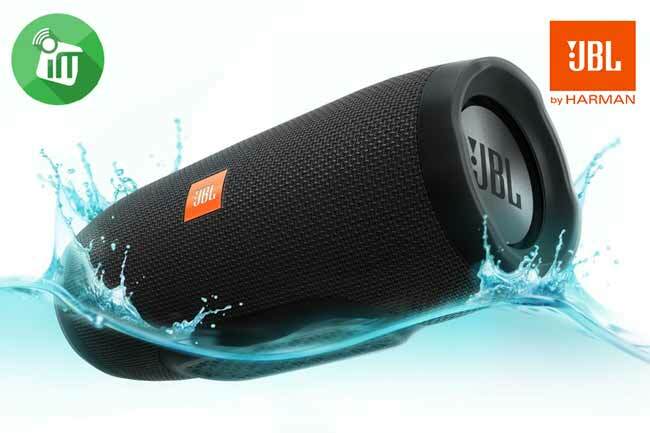 The JBL Charge 3 is an ultra-powerful, ultra-big-battery portable Bluetooth speaker with high-quality stereo sound. 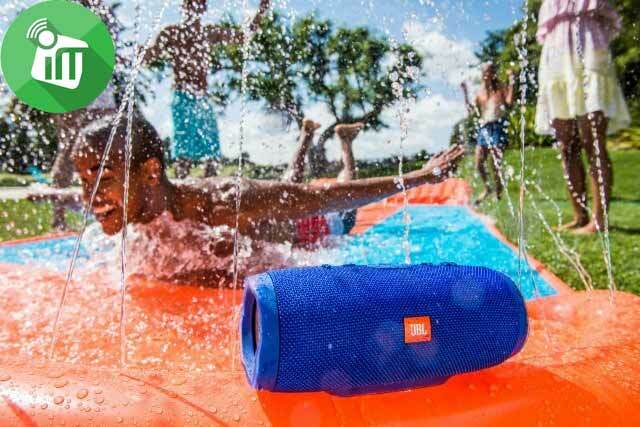 With a durable, waterproof design, the Charge 3 takes the party everywhere – be it poolside or dancing in the rain – and amplifies the excitement with JBL Bass Radiators. Wireless connect up to 3 smartphones or tablets to the speaker and take turns playing powerful stereo sound.